The Clean Slate Clearinghouse, developed in collaboration with NJDC and the Council of State Governments Justice Center, Community Legal Services of Philadelphia, the National Association of Counties, and the National League of Cities, provides access to state statutory information related to record clearance policies in all 50 states and U.S. territories. In collaboration with the Georgetown Law Equal Justice Library, NJDC launched the In re Gault research collection, including the Gault footnote bibliography project, reports and training materials on children’s right to counsel, audio-visual material of the Gault family and decision coverage, and court documents that trace the case’s evolution from Gila County, Arizona, to the nation’s highest court. Visit the collection here. 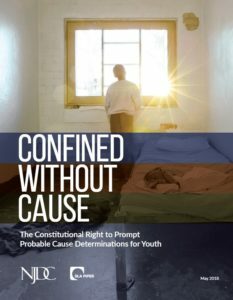 Fifty years ago, the United States Supreme Court affirmed that youth in America’s juvenile courts are entitled to many of the same rights as adults, including the right to counsel, the right to notice of the charges against them, the right against self-incrimination, and the right to confront their accusers. This printed version of the case highlights some of the decision’s most important points. 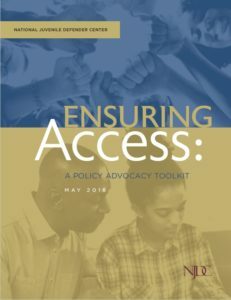 Ensuring Access is a toolkit designed to help defenders, advocates, state legislators, and other policymakers who want to change their local laws and court rules to ensure children have the access to counsel they are guaranteed under the Constitution. 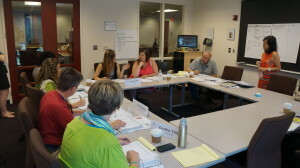 The Toolkit incorporates the five issue areas and related recommendations from Access Denied and provides advocates and policymakers with example statutes and rules from across the country, research supporting policy reform, and sample messaging documents to support reform efforts. 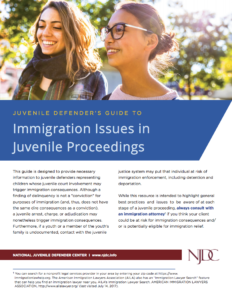 Although a finding of delinquency is not a “conviction” for purposes of immigration, a juvenile arrest, charge, or adjudication may nonetheless lead to consequences for young people that defenders must be aware of — and prepared to work to prevent. Read the full issue brief, including practice tips, key strategies for building a defense, and opportunities to secure relief for youth who are non-citizens. 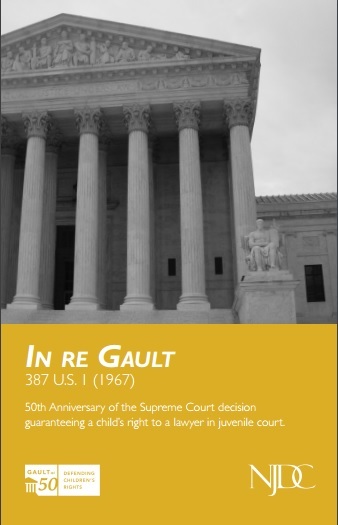 Released on the 50th anniversary of the landmark Supreme Court decision In re Gault, NJDC’s new report reveals that nearly every state falls short of its constitutional obligation to provide effective lawyers for youth. 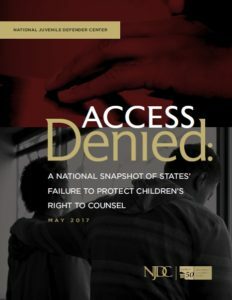 Based on statutory analysis and interviews with juvenile defenders in every state, the Snapshot exposes gaps in procedural protections for children — gaps that perpetuate the over-criminalization of youth, racial and economic disparities, and the fracturing of families and communities. Learn more here. Developing a specialization in juvenile defense through new and innovative training programs that can be tailored for any jurisdiction. Check out NJDC’s array of free publications — infographics, issue briefs, and bench cards, among others — to share best-practices in juvenile defense and promote leadership and change at the local level.